001. Happy Valentines Day! I made my boyfriend red velvet cupcakes and made him some IOU's. We have decided not to do anything special because... well we are lazy, but I said I'd buy him a cone of chips or a kebab from the chippy. 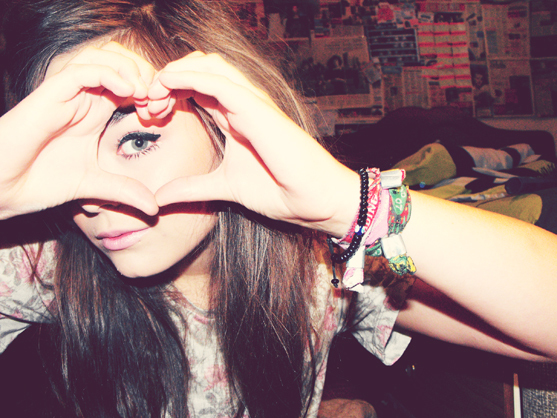 Love innit! If you were wondering I used this recipe from Best Cupcake Recipes. It has some really lovely cupcakes on there that I'd love to try at some point! 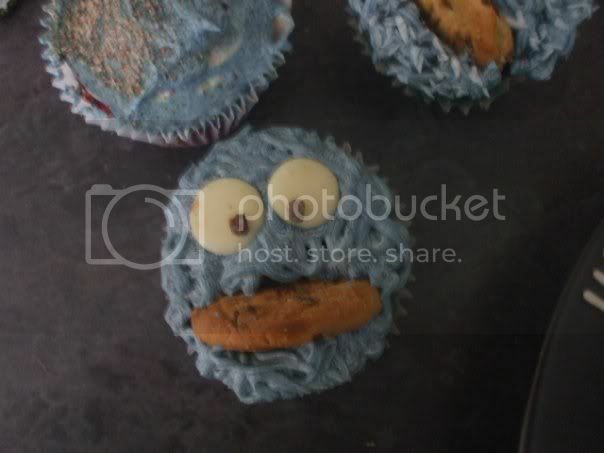 Ages ago me and Ivor made some Cookie Monster cupcakes, and then his dog ate them ): Was a dark day. 002. Tumblr, Tumblr, Tumblr. One, I just dont understand it, I go on and see MY work being reblogged a hundred billion million (not joking, well one of mine has like 1200+ notes) and most of the time I don't even get credit. Surely there must be some magic way to claim credit on things like that. Which brings me onto point number two, Shall I do Tumblr? I worry about getting lost in the shuffle, losing my identity, losing my work. Ive signed up using LLYMLRS, but have yet to post anything (defo not coz I dont know how AHEM) But I just dont like the idea of having my work on there, and then having my work also posted on a different blog which has more notes than my work posted by me. This is a genuinely distressing situation to be in. Or maybe I'm just being too neurotic. 003. I think the way I write on this blog is how I actually speak/think. Maybe I should learn to write good. LOLILOLLO. If you actually met me you'd probably think I'm stupid. I really need to work on my tone of voice when blogging. As I really don't think everyone will like my rambling, sidenoted, lulz and constant overuse of punctuation! 005. My zine competition finishes today, and Ill aiming to be getting in contact with everyone who has got a copy on Monday, Ill post all the names on here just in case I cant get into contact with you. If you don't get back in contact with me within 5 days, Ill offer the zine to another person, After next week I'm going to be back at university so Ill be doing university work again, and will need to focus on that. I do plan on putting the zine up on Etsy, at some point, But I may also upload the pages to Flickr at the beginning on the month, Then it lets you print it or something? HEY I'm not sure. I'm also going to start working on a new zine as soon as I have a theme or idea. I'm currently liking the idea of using my Illustrated Letters series to good use? I use Tumblr and my 'work' is blogged/reblogged.. rarely from my own Tumblr tho. It doesn't bother me. It only bothers me if people do not credit. I have few followers because Tumblr is all about quantity over quality, or so it seems. I rarely post anything except the odd drawing. Annoyingly Tumblr doesn't require people to put contact info on their tumblr page, so getting in touch with people about credit is quite difficult (not everyone has the 'ask' option set-up). I've spoken to Tumblr's customer service via email (because I had an incident where someone REFUSED to credit me) and they basically said if anyone blogs your work without credit and you can provide links to the original (ie. your flickr account, etc.) then they will actively ask the user to remove the content, or credit you, or ban them from Tumblr. I hope you received my email lovely, if not my email address is myneonlights@hotmail.com! The tumblr thing I have no idea about, but it sounds pretty messed up if people can just randomly repost your work without crediting! you are seriously so pretty. I'm a bit of a Tumblr addict, so I'd say go for it. Post! I'm sure that if someone reblogs your post and then another reblogs from them - the notes will still add up on your original post. Yeah I've seen your work popping up more and more Lily. It's really annoying when you don't get credit for work, but that's happening to you already and I doubt it'd increase by you going on tumblr. My work gets posted loads without credit, and you're right, it always seems to get more attention when that's the case. But at the same time I'd have not gotten anywhere near the attention I have if I'd have just been using Blogger or something similar. I'd go for it, your work is cool and your identity is the thing that will make tumblr work for you. Plus tumblr is actually nice to use, and if I see anyone posting your stuff without credit I'll add them to the list for a beating. Lol. Joking. Well, maybe just a little dead leg! Should we consider you the fact that you didnot response as a denial to feature in our design magazine? If so please confirm so that both you and our magazine move on. Rings barely fit me because I have fat fingers - so I feel your pain!